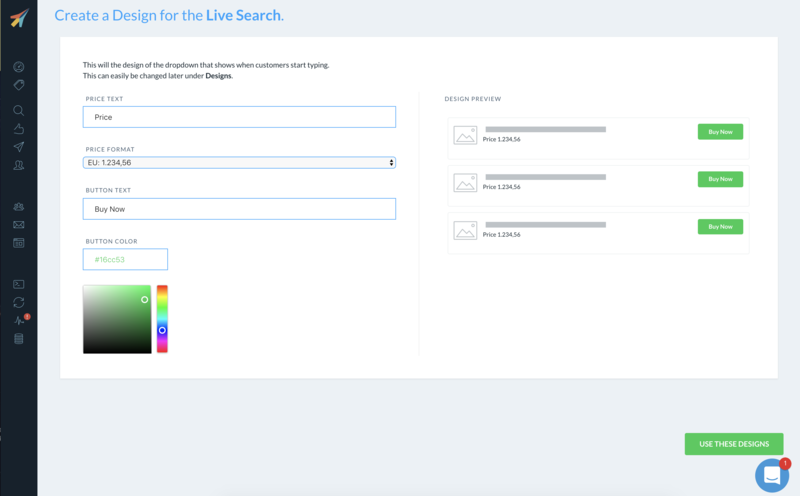 The Live-Search dropdown that is displayed when a customer starts typing. 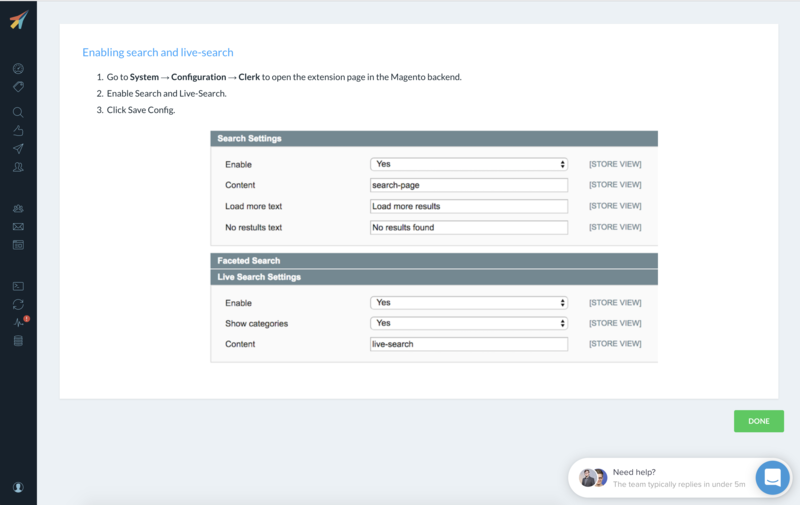 The Search Page which displays all matching products on a full page. The first thing you need to do, is create Standard Designs. You can use the Setup Guide to quickly create Designs that have the same color scheme and style as your webshop. You can easily change your designs later, under Designs in the left menu. Click Use These Designs when you are happy with the styling. 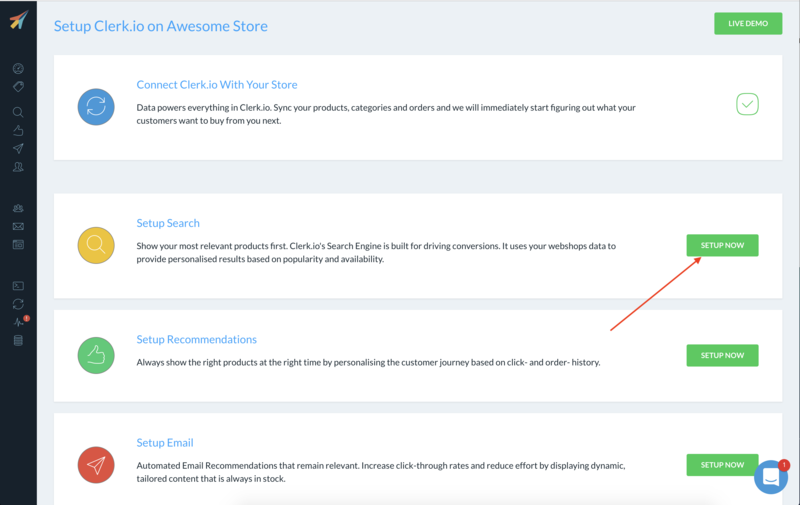 After enabling the features, you will be able to see Clerk.io's search function on your webshop. Finalise the setup by clicking Done.